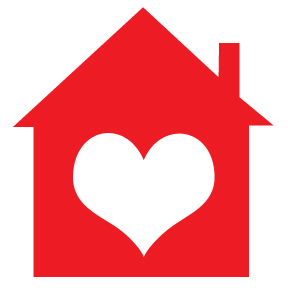 Give Your Home Some L.O.V.E. It’s Valentine’s Day. Have you shown your home any L.O.V.E. lately? Use the holiday as an excuse this weekend and take a little time to freshen your space up. It doesn’t have to take a lot of time or cost a lot of money to make improvements that you will notice and appreciate around your home! Let the light shine: Light makes a huge impact on the feel of a space. Natural daylight can enhance a bright and open feel. Lamp lights can add warmth. Go through each room of your home and evaluate the light. If you have nice big windows, give them a wipe down – both the glass and blinds. Check bulbs in light fixtures (don’t forget exterior lights) and give them a quick clean. Make sure all lamps have working bulbs. If you have a dark room or nook, try brightening it up with a new lamp or by moving a lamp not needed in another room to the space. Rotating lamps around the house can be a free, easy way to change the look and feel of a room in minutes! Open your entries: Open concept rooms and flow stand out on buyer wish lists for a reason. These things really do make a home feel more inviting! So, walk through your home. As you enter each room, are there items impeding your path or eye line into the room? If so, experiment by rearranging pieces to clear the entry. Again, don’t get fixated on working only with what’s currently in the room. Shuffling furniture or décor between rooms might be the answer! Here are some more tricks to help with an open feel. Value your investment: Are you up-to-date on your home maintenance? Review this checklist that provides some annual guidance. Beyond that, ensure your home insurance is current and properly valued. This would also be a good time to go through your home to document valuables. Having these records in place and current are some of the best things you can do to protect your investment in your home. Edit your décor: Trends come and go. Do you feel like certain rooms in your home need to be brought current on style? Start by removing items you no longer want to use. If there are things you can donate, that’s a great way to recycle and give back! Once you have a more clean slate, determine what changes need to be made to update the space. Is it as simple as moving some finishing touches from another room? Do you need to paint an accent wall? Maybe create a gallery wall? Would new throw pillows do the trick? We hope you’re having a day and weekend filled with all you cherish most! If there’s anything we can do to help with your improvements, let us know. We’re always available to provide project ideas and referrals! Homeownership certainly has its benefits, especially in terms of a financial investment. And since your home is likely your most significant investment, it’s wise to practice routine maintenance to protect it. I recently came across an article from This Old House that highlights 47 skills to help you survive home ownership I thought was worth sharing. 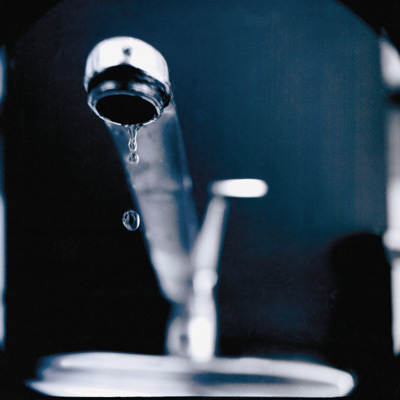 It covers some great basics – ranging from how to fix a leaky faucet to detecting termites and hard wiring a light fixture. When you have a few minutes, check it out and brush up on your skills, or bookmark it so it’s handy next time you have a minor home emergency! 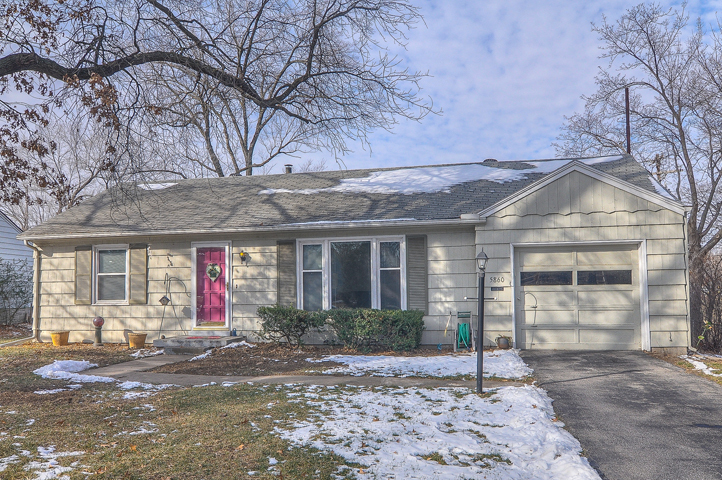 Whether you have a small one-car garage in Prairie Village or a home with a larger three-car garage, this space seems to fill up quickly. Often the garage becomes the catch-all for things when you’re coming and going, and the stash spot for everything else that doesn’t have a home in your home! Here are some tips from TLC to get your space in order. 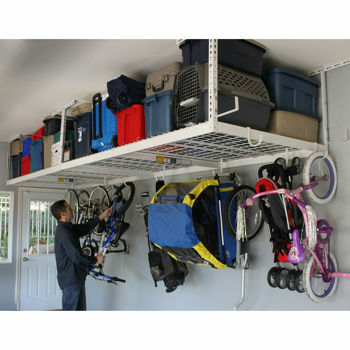 Once you have cleared out clutter, find a storage system that works for your family to keep it tidy – maybe you need cabinets or shelves, overhead storage, a wall system or a combination of these. Having a neat garage not only adds to the appeal of your home if you’re on the market, but also makes it more functional and enjoyable for you! Brush Up on 2013 Color Trends! A fresh coat of paint is a great way to spruce up your home. 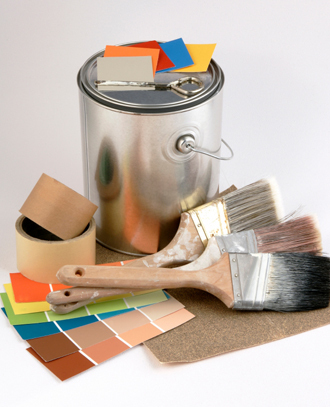 In comparison to other home improvement projects, painting is relatively easy, fast and inexpensive. Check out this list of hot hues in painting trends. The forecast from the pros at Pantone reveals new colors to renew, soothe and surprise. Browse the slideshow for ideas on how to incorporate these palettes into your home! For those of you planning to list this spring, now is the time to start getting your home ready. From projects around the house, to adding to your curb appeal, this recent post will help you get your list started. Taking time to get your house in the best condition possible can really help you stand out from the competition! Questions about how to approach your sale, or want to schedule another time to see the home in Fairway? Give me a call anytime at (913) 980-2434.